Ubisoft already provides people details about which operators are the most picked in Rainbow Six Siege but I've always found that there are a couple of problems with this metric: first, just because an operator is popular in terms of being picked, doesn't mean he or she is necessarily that effective in helping your team achieve victory. Also, publishing which operators are the most picked might in itself skew the results since people will then pick the most popular because everyone else is. Finally, if you look at all the operators on the list they only show the non-DLC operators when in reality they're probably getting used just as much if not more than the vanilla operators (Maybe they need a Smooth Operator?). Anyway, I've been playing Rainbow Six Siege for a decent amount of time now as well as Choicest Games contributors Lanna and Luke, so I thought, why not conduct a poll amongst ourselves to determine which operators we value the most? Which operators can your team not live without and which ones are really not that useful? So how did we conduct this poll? Well I simply gave a list of all operators and got myself, Lanna and Luke to give a rating from 0-2 for each of the operators. 0 means the operator is either considered of minimal benefit to the team or the few times that the operator can be of benefit don't occur often enough. 1 means the operator is a competent operator or he/she is useful in some situations. 2 means the operator is a "must-have" for any team; they're either very powerful or they have an ability that's critical to a team's success. Rated as a competent operator and as an essential operator by Luke because of her ability to breach through breakable surfaces and not be affected by Mute's jammers. Rated as a competent operator and as a very effective one by Lanna. Almost every game with Frost on the team will result in at least one operator having their leg trapped by a "welcome mat". Rated as a competent operator and as a very powerful one by Lanna. Fuze is very effective at clearing rooms of enemies, just be careful not to set off cluster charges in the room with the hostage. Couple that with the fact he gets heavy armour and the ability to use a PKP Pecheneg, and you've got one tough operator able to inflict lots of damage. Glaz is one of Lanna's favourite operators just because she loves to snipe. Her two votes meant he almost had a chance of making the top 10 but you really have to be a good marksman to make the most of him - either that or be at the right place at the right time. Buck was rated as a competent operator by all but is a particular favourite of Lanna's. His "Skeleton Key" is handy as a breaching tool at range (albeit a short range) and it's also handy as a short-range shotgun. The ability for him to switch quickly between short and long range makes him a versatile operator and his ability to bring along frag grenades makes him a jack-of-all-trades. Sledge happens to be the first operator I unlcocked and he's probably the simplest to understand (HAMMER SMASH!) but don't be deceived, just because his unique ability might seem "simple" it doesn't mean it's useless. Sledge is a particular favourite of Luke's because people don't often realise that not only can Sledge break through barricaded windows, doors and breakable walls, but he can make short work of Castle's bulletproof reinforcing too. Castle is a favourite operator of mine who becomes especially useful at points with a limited number of breakable entrances. Not everyone carries breaching charges or has a means of breaching Castle's bulletproof reinforcing so if it comes down to it, you'll have to do things the old fashioned way of smashing the thing multiple times with your gun which is time intensive and risky. If the enemy team is starting to run out of time, it could mean the difference between victory and defeat. Castle's ability to win the game without the need for bloodshed means he's a good choice for those who want to PTFO. This is probably one of the more controversial choices amongst the judges because two of us thought of Thatcher as an essential teammate while the other thought he was of minimal use. While it's true that his special ability might seem rather benign (doesn't actually kill anyone) ridding the enemy team of gadgets unlocks lots of opportunities, like being able to throw grenades, or being able to set off an exothermic charge or clearing a room of cameras; he basically neutralises the unique abilities of many defenders. Blackbeard is the first of the operators on this list to recieve a total of 5 points from the judges meaning two have voted him as being an essential operator with another voting him as being competent. There's been many times that we've had to go toe-to-toe with Blackbeard and usually Blackbeard comes out on top. Thanks to his rifle shield he has extra survivability, especially if you can rappel upside down a window or go prone. He also gets a very powerful rifle in the Stoner SR-25 - in fact the only weapon that does more damage is Glaz's OTs-03 Dragunov SVU. You know how in most FPSs players tend to hate wallhackers and anyone doing so is considered a cheater? Well what happens when the game itself has an operator that is essentially a wallhacker? Introducing Pulse, the operator that everyone loves to hate. On his own, Pulse is a roamer to be reckoned with; if he's working with his team on voice comms though, the team is almost unstoppable. There's been a couple of times I've been on a team where Pulse acted as the eyes and ears for another teammate meaning he knew exactly when to fire a bullet and when. The top three operators were voted as essential by all three judges. It's probably no coincidence that all three judges have spent many hours playing these operators too. While each of these three operators are equally ranked as first, it came down to me to assign the third, second or first place. So in third place, I've given it to Thermite. Every defender gets the ability to reinforce breakable walls and Thermite is the only operator that can breach through them, meaning he can create new entryways for the attackers or line of sight for snipers to clear the room. If you don't bring Thermite in your team you've already limited the number of ways your team can breach through which translates into a lower likelihood of success. Just don't play Thermite like me though - I have a habit of dying even before I get close to the objective! 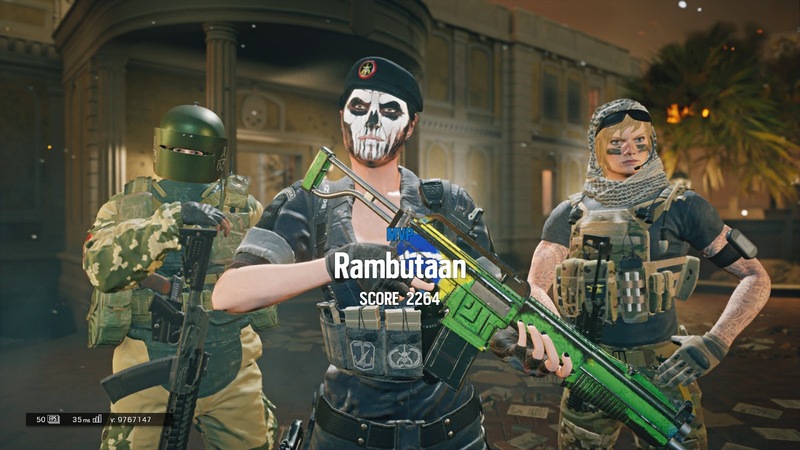 Rook is probably the easiest operator to play for beginners since once you've dropped your armour pack, your job is pretty much done. Rook's armour plates gives a defensive bonus for the whole team and while it might be minimal, every bit of armour helps (and could mean the difference between life or death). He's also got some decent sub-machine guns with the MP5 and P90 along with the fact he wears heavy armour himself. For the numero uno operator, we have Mute - an operator that has been played quite considerably by myself, Luke and Lanna. While sometimes it's near impossible to prevent drones from finding the objective(s) (especially on bomb defusal maps) hiding the objectives can potentially buy your team some time (as well as give you some points). But wait, there's more! Mute can also jam electronic devices, such as exothermic charges or even Blitz's flash shield. This means if the enemy wants to ensure they have a chance of breaching reinforced walls, they'll need to bring someone like Thatcher along and doing so means they're one other potential operator down. Mute also gets a neat SMG in the MP5K as well as the ability to throw nitro cells (useful against shield operators). So what do you think? Do you agree with our list? Let us know in the comments who you believe to be essential operators for the team and why.